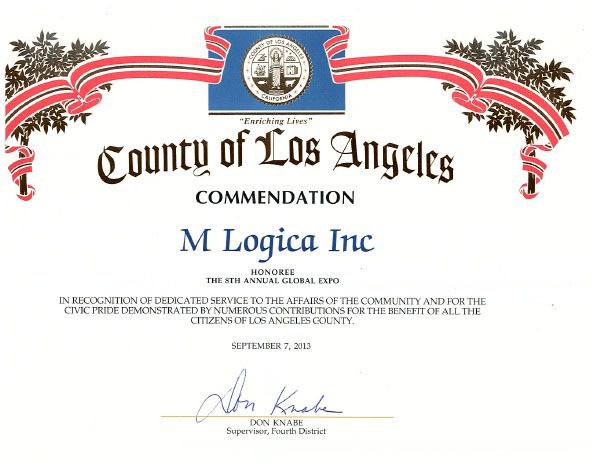 Awards and Certifications | mLogica Inc. In July 2016, mLogica was at the annual Oracle Partner Summit at Redwood Shores. There were about 400 or so partners in attendance. mLogica was awarded as one of the top Oracle partners for the FY16 for Competitive Take-outs. Our technical teams have worked incredibly hard this past year in delivering migration best practices services to Oracle customers. 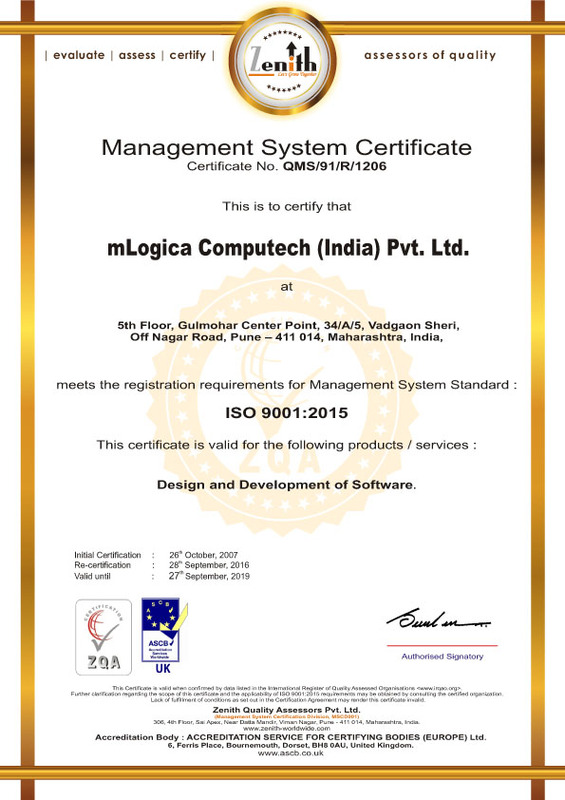 This is to certify that mLogica Computech (India) Pvt. Ltd. IN RECOGNITION OF DEDICATED SERVICE TO THE AFFAIRS OF THE COMMUNITY AND FOR THE CIVIC PRIDE DEMONSTRATED BY NUMEROUS CONTRIBUTIONS FOR THE BENEFITS OF ALL THE CITIZENS OF LOS ANGELES COUNTY.